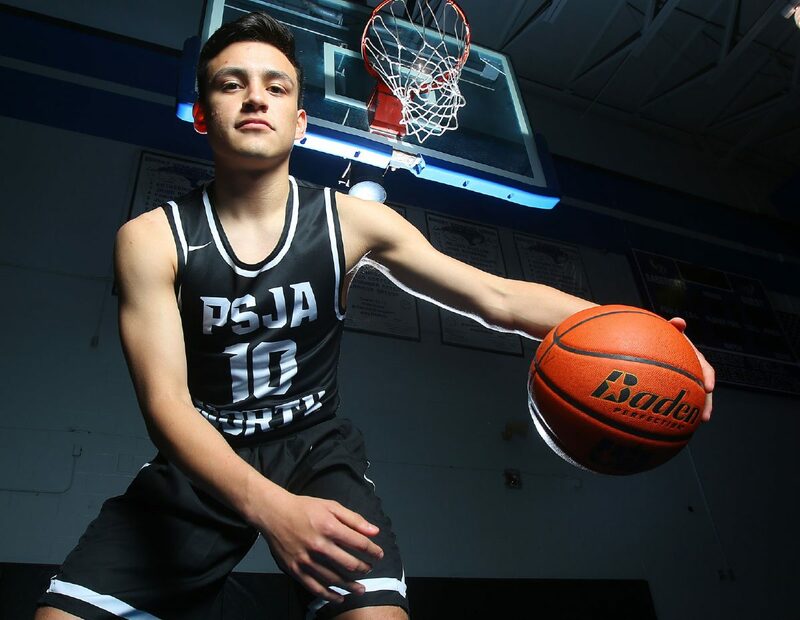 EDINBURG — PSJA North junior Daunte Galvan had been overlooked for a long time. This year, Galvan changed that. In 35 games, he scored 28.6 points per game. He added 7.1 rebounds, 3.8 assists and 3.0 steals per game. He made the Valley pay attention with his play on the court. His 28.6 scoring average is believed to be the highest by a Rio Grande Valley player since Alex Denson averaged 30.7 as a senior at Brownsville Hanna in 1997. Galvan’s 1,000 points this season are believed to be the most by a Valley player since Ricky Capello scored 1,104 for Edcouch-Elsa in 1983. For his phenomenal season, Daunte Galvan is The Monitor’s 2018 All-Area Player of the Year. Galvan’s average was the sixth highest in the state, according to MaxPreps. His 113 3-pointers made ranked 12 in the state. His 277 made free throws rank fourth in the country, according to MaxPreps. Despite all of his efforts on the court, he was ignored by some rankings and awards. The RGV Basketball Coaches Association published a UIL Class 6A All-Valley team that contained 34 Valley basketball players. Galvan wasn’t one of them, even though he scored more than everyone on the list. In his own district, 31-6A, he didn’t win MVP, instead earning Offensive Player of the Year. Even then, his name was misspelled. Certainly Galvan’s character did not impact his placement on these lists. Any of his friends, family, teammates or coaches will point out that he is one of the kindest, most humble people they have met. He has an electric smile, and he always remains positive. Galvan’s amazing year didn’t always equate to wins. The Raiders finished the season 13-22 overall and 3-11 in District 31-6A. After Galvan, the next leading scorer for the Raiders averaged 5.1 points per game. He remained the team’s leader, even during the tough times. Even after one of his signature 40-point performances, Galvan would be at the gym early the next day, working on his shot. When his teammates arrived, he would work with them. He was sometimes left in charge of the starters during practice, while the coaches worked with individual players on the side. There is reason to be excited about the Raiders’ future. They will be adding Izaiah Rangel, who transferred from Edinburg North after averaging 11.9 points and 8.3 rebounds per game last season. The Raiders also have a talented freshman class coming in. Galvan had plenty of memorable games this year. The first time he scored 40 points was in November, during a non-district game against Rio Hondo. Gongora said he had no idea Galvan had scored that much. The first time through district, Galvan had tough outings against two of the best teams — Edinburg High and Edinburg Vela. He was held to less than 30 points in both games. The second time around, though, he brought another level and showed how dominant he can be. He scored 40 against the SaberCats and 42 against the Bobcats. He finished the season with a flourish. 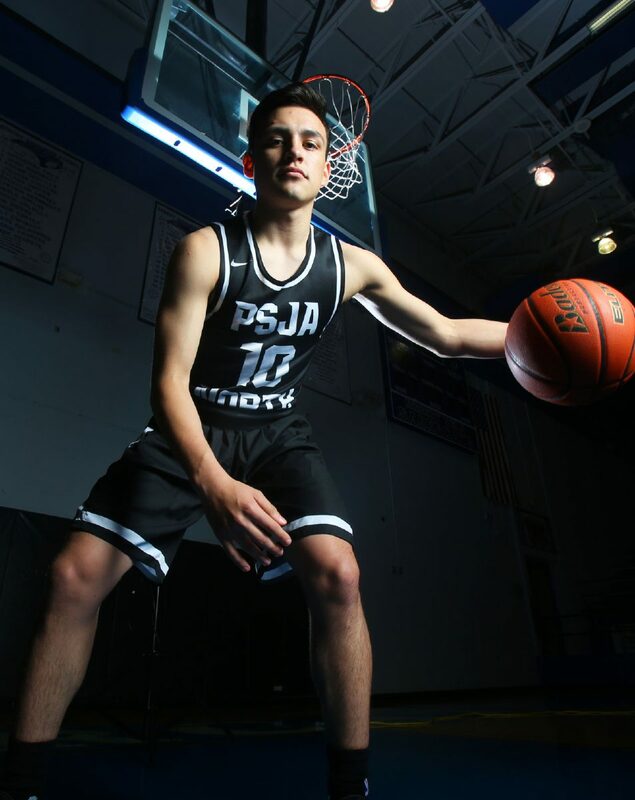 The Raiders played the PSJA High Bears on the final night of the year, and Galvan scored 51 points and had a double-double with 10 rebounds. Galvan said that was his favorite game this year. Those 51 points put him at 1,000 for the season. Neither Galvan nor Gongora was aware of the milestone at the time. Assistant coach Angel Alonzo was in charge of the stat tracking. Once he told Gongora that Galvan had crossed the 1,000-point mark, Gongora pulled Galvan and rested him for the remainder of the game. This year, Galvan made people pay attention to him. Still, some continued to ignore his achievements. The people who overlook Galvan are “sleeping on him,” he said. To those people, Galvan has two words.